Board of Intermediate and Secondary Education Bahawalpur conducts matric class annual exams in the educational institutes. 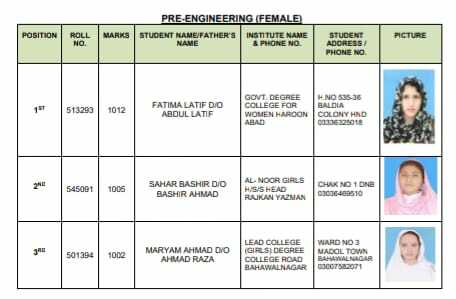 BISE Bahawalpur SSC result is announced during the month of June, as the process of checking of papers for BISE Bahawalpur 10th class result is started soon after the completion of the annual exams. BISE Bahawalpur manages prize distribution ceremony in the main hall in the presence of teachers and students, so that they can get complete result with detail of marks. BISE Bahawalpur maintains its own schedule to conduct the exams at the proper time and it also takes three to four months in getting prepare BISE Bahawalpur SSC result. Bahawalpur Board 9th class result is prepared early and the BISE Bahawalpur 10th class result is followed. Bahawalpur Board matric class result is prepared and it is also uploaded on this page with the relevant information. The students should keep ready to get the matric class result with complete detail of marks.